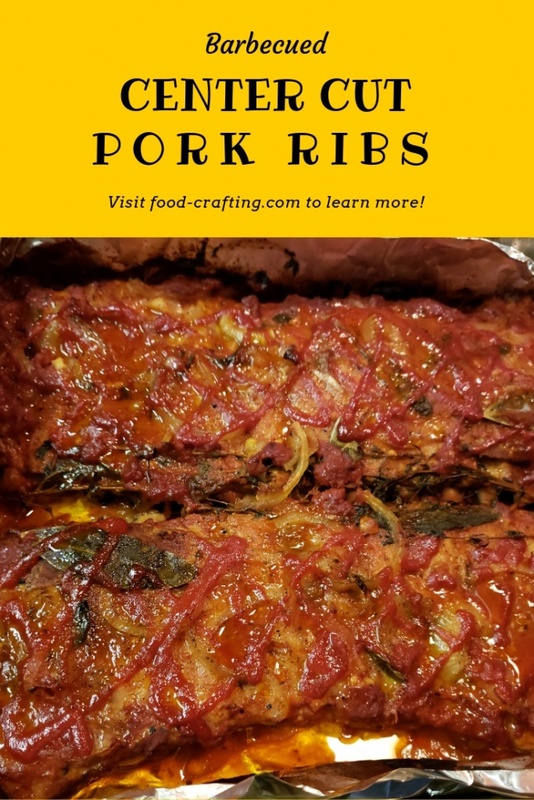 Center Cut Pork Ribs – I have a family pack of pork ribs and on a snowy day like today nothing is easier to prepare than a rack or two of ribs seasoned to perfection with Johnny’s® seasoning salt. Add a few special ingredients to create a tangy apple cider vinegar based all-purpose sauce and bam – we have a homestyle barbecue. Cook the ribs until they are fall off the bone tender then baste them with the sauce as they finish roasting. What do you have when you break down the main ingredients in a basic barbecue sauce? 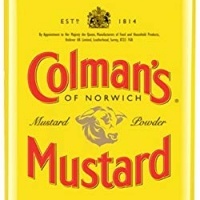 and an acidic ingredient such as vinegar or mustard. I often create my own all-purpose barbecue sauce. The sauce can be used to flavor and glaze meats. 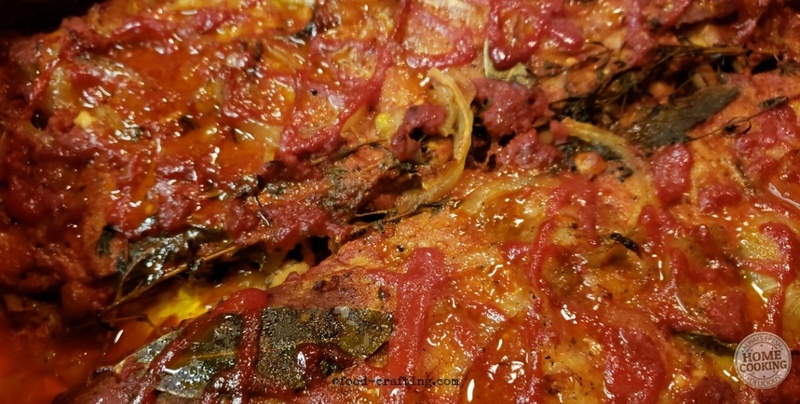 It does not have the same consistency as bottled barbecue sauce but it definitely adds flavor to various meats and forms a tasty glaze that caramelizes under the broiler. 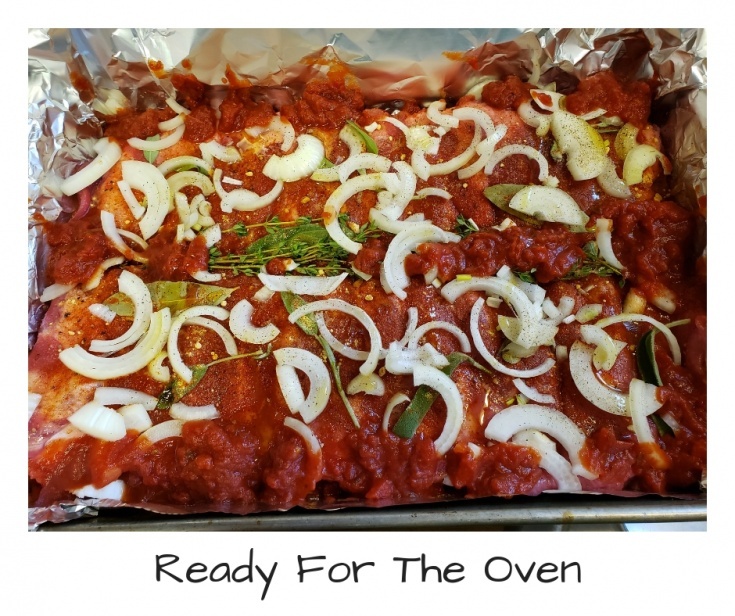 For this recipe, I gave it an Italian flavor. Thanks to Johnny’s® and a few tweaks. I must admit to not following a recipe for these Center Cut Pork Ribs. The barbecue sauce came together as I found herbs, spices and pantry ingredients. 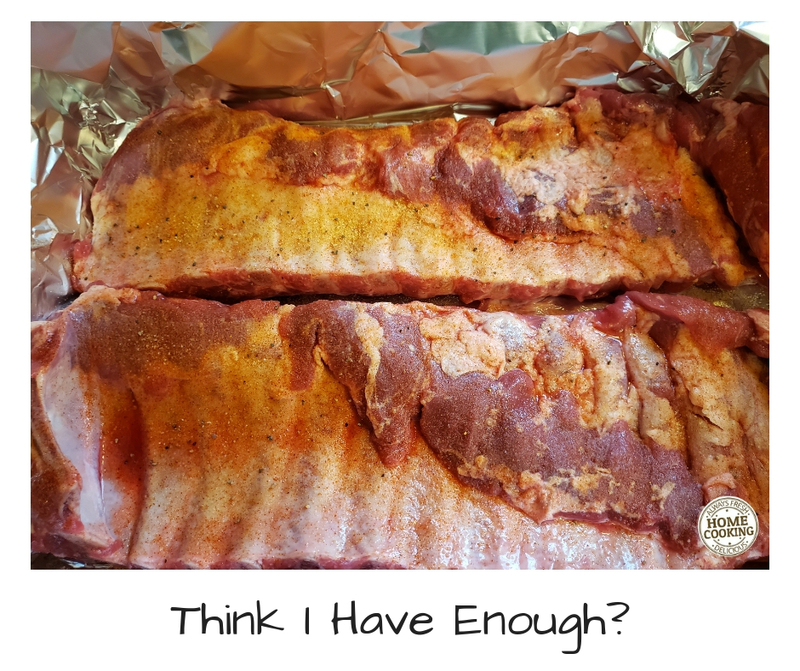 But the main seasoning for these ribs is an all-purpose seasoning I keep to sprinkle on steaks, chicken and pork chops when I don’t want the smokey flavors of chili, smoked paprika and peppers. Johnny’s® Seasoning Salt is ideal for this as all it contains is salt (a hefty 320 mg), sugar (no amount listed), paprika, garlic and “spices”. It is designed to be used as salt and pepper. It has a “Best Before” date stamped on each container so you always use fresh seasonings. 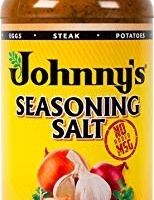 Johnny’s® comes in several flavor combos including a garlic bread seasoning! Looking for a dry seafood seasoning? Johnny’s® has one! Sauces too! My favorite seafood sauce is their Salmon “finishing sauce”. 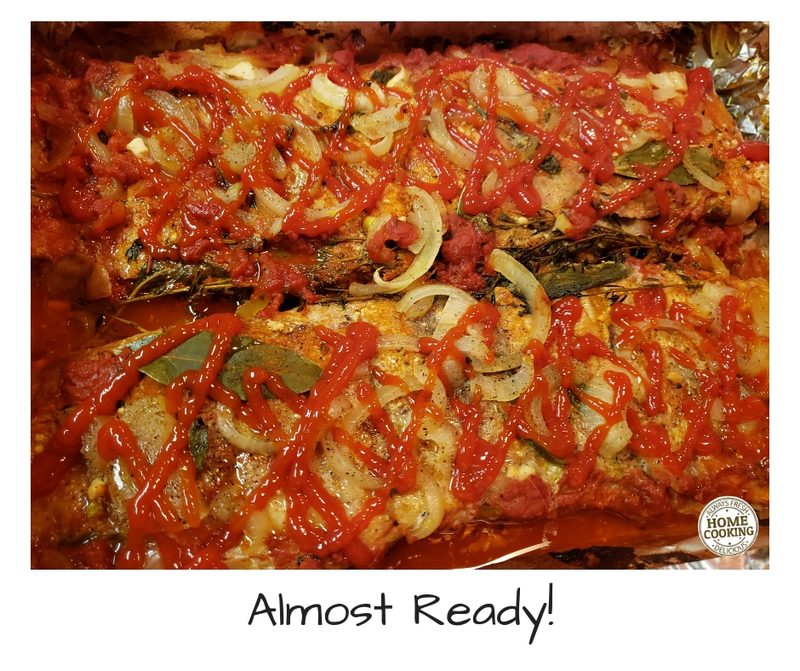 Try it on a salmon roast – it’s finger licking good. Seven pounds of ribs to be exact. You might think it is for a small army but it’s not. This $25. Wegmans® “Family Pack” will make at least 6 to 8 meals. This barbecue sauce can be tweaked in many ways. 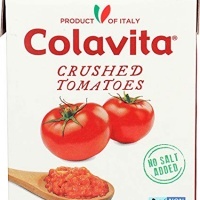 For this recipe, I used crushed tomatoes instead of tomato paste or sauce. I also added fresh sage and thyme. Should have blended my Dijon mustard with the crushed tomatoes but instead I sprinkled dry mustard on the ribs. Along with the Johnny’s® salt and pepper seasoning, it flavored the meat more directly than within the liquid sauce ingredients. The amount of barbecue sauce you have at the end of the cooking process depends on the total amount of liquids you add to the sauce mixture. These ribs were very lean. You can always add pork broth, wine or water! As you can see from the finished pan of ribs, all the sauce baked into the ribs. They were fall off the bone tender, juicy and covered with thick sauce. 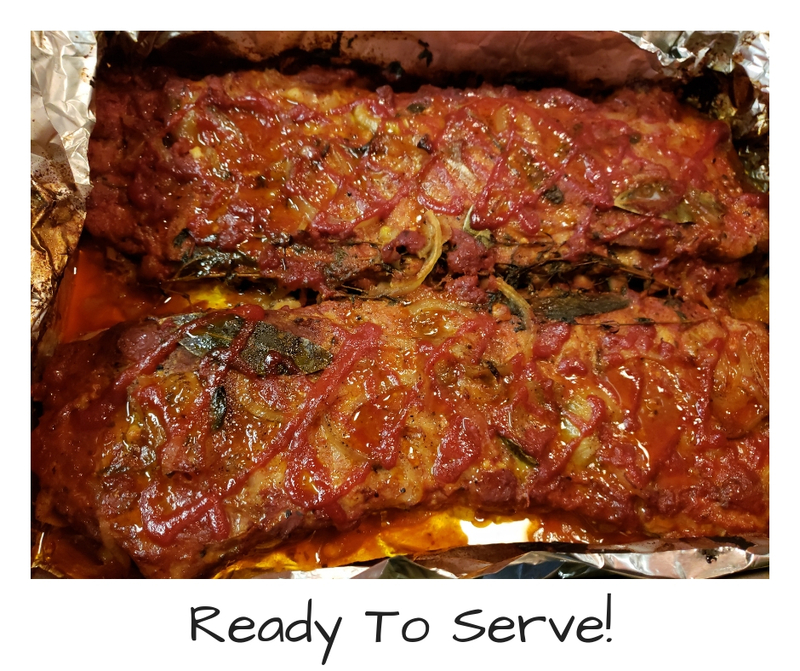 There are two ways to prepare the ribs. Prepare the barbecue sauce separately and pour over the ribs after the initial cooking period. 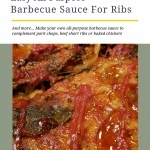 Tangy all-purpose barbecue sauce for ribs or pork chops. 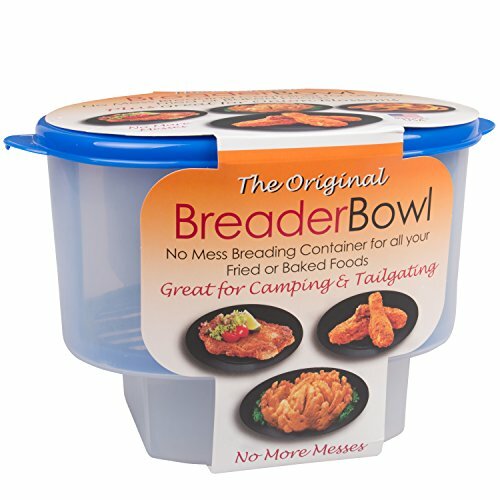 Great for chicken too! The barbecue sauce is made in the pan as the meat cooks. Place a large piece of foil in a deep roasting pan. Season the ribs on both sides with the seasoning salt. Add herbs then spread the raw onions evenly over the met. Pour small amounts of the crushed tomato along the sides to fill in the small gaps around the pan. Drizzle the vinegar over the tomato in the same area. The melting fat from the ribs will combine with the tomatoes and vinegar to make a sauce. Tuck in the sides of the foil and fold over on both ends. Top with another piece of foil that just fits the pan. It just rests on top. Cook covered for 2½ hours at 350* or until very tender. 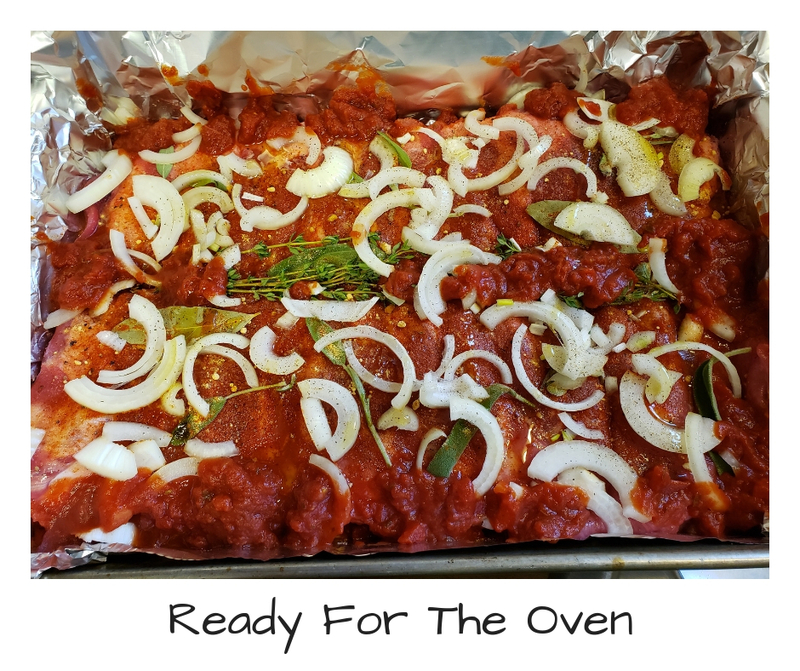 Remove from oven and remove top layer of foil. Combine sauce ingredients. Make it easy by simply grabbing the roasting pan and carefully swirling the pan drippings around the meat. Adjust the sauce seasonings and add liquid as needed. You may opt for more vinegar, broth or more salt and pepper. Cook uncovered for another ½ or until browned to your liking. By the end of the cooking time, nearly all the liquid should be evaporated. All that remains is the glaze on the meat. I added the organic ketchup after the initial two and a half hours of cooking. Organic ketchup is rich, thick and low in sugar (only 4 grams). It’s perfect for cooking purposes and tastes great on fries! Hunt’s® 100% Natural ketchup is also low in sugar content. No Sugar Added ketchup only has 1 gram of sugar! Want the sauce to have a special kick? The easiest way to spice things up is to use spicy ketchup in your sauce. Careful though. You automatically double the sodium content. 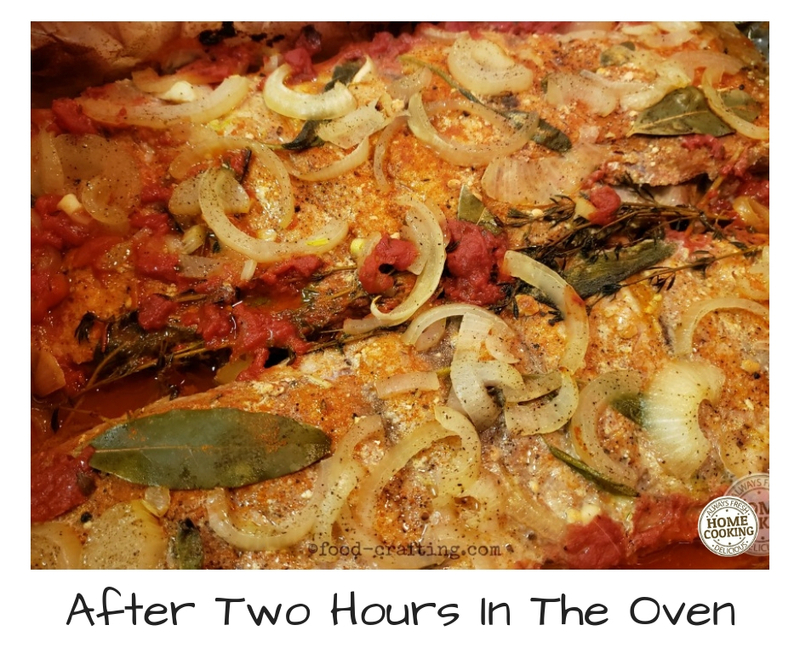 1.2.1 Cook covered for 2½ hours at 350* or until very tender. 1.5 Ribs & More Ribs!